Buenos Aires is a singular, open and integrating destination that allows the visitor not only to view the city but also to live an exceptional urban adventure. Because Buenos Aires combines varied experiences and this variety may suit all tastes – Buenos Aires is really close to any visitor. 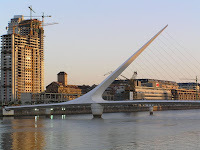 To live the experience of Buenos Aires there are some things you must enjoy in your trip to Buenos Aires: Tango, its wonderfull architecture and its nightlife. 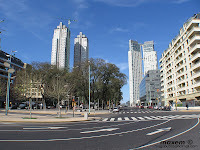 One of the attractions Buenos Aires has is its architecture, BA is a city with an European style. 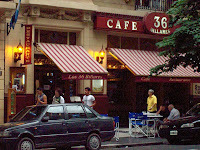 Italian and French influences can be seen in many buildings in Buenos Aires, as you walk througt Buenos Aires streets. Specially when you walk to Congreso, Plaza de Mayo, Avenida de Mayo, Puerto Madero, Recoleta, and Downtown Buenos Aires, only to name some of the many places you can visit. Avenida de Mayo connects Plaza de Mayo,where the Casa Rosada(Executive branch of the Goverment) with Plaza de los dos Congresos where the Congress is. 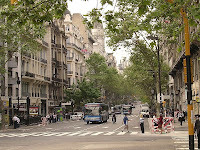 Avenida de Mayo is an European Style avenue, offen compared to Madrid, Paris and Barcelona due to its buildings of Art Nouveau, neoclassic and eclectic style. 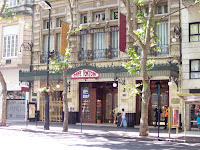 When you walk Avenida de Mayo a nice place to stop and have a cofee, see a show or a book presentation is Cafe Tortoni, inaugarated in 1858, is one of the more emblematic places of Buenos Aires, conserving the decorations of its first years. 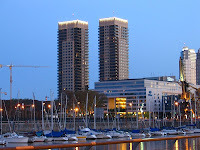 Puerto Madero is the newest neighbourhood in BA, used to be part of the Buenos Aires port, and in the 90s it was converted in a neibourhood, English style warehouse were recycled into elegant houses, offices and lofts. It is a nice place to visit, with new buildings and nice architecture, and as difference from the rest of the city it is very calm with nice coffees and plazas. 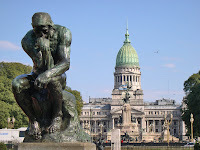 When you visit Buenos Aires you have to visit Recoleta, a typical French Style neighbourhood, known for its coffeehouses, parks and the Cementery. Recoleta has been referred as the Paris of the Americas, where many french style palaces and villas were built. 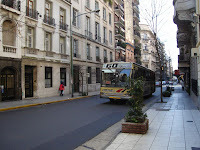 The Alvear Avenue is the most important in Recoleta, in this avenue you can see sophisticated restaurants, Luxurius hotels like The Alvear Plaza (One of America´s most luxurius hotels) and many of the most important cloth brands are located in Recoleta. 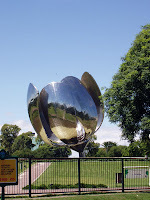 Buenos Aires is the city of Tango, the are many places in neighbourhood such as Abasto, San Telmo, Barracas, La Boca and San Cristobal that are related to Tango. 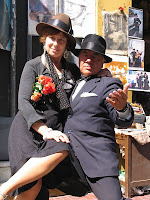 You have many places to go and see Tango shows and even to learn to dance Tango. 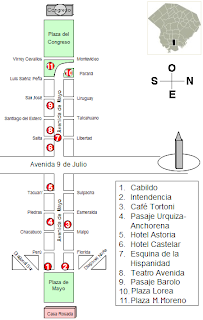 To See Tango Shows you have many places such as Sabor a Tango, Señor Tango, Che Tango, Madero Tango and Taconeando, just to name some. The place looks a bit like South Africa and Europe mixed, so nice, I wish we had the cool old buildings in SA though. They add such a nice touch to the place. When I was in Argentina I learned how to dance tango! Neaar the rent apartment Buenos Aires there was a really nice place and it was a really great experience.